As we continue to assist in the upliftment of fallen humanity, we hope to help facilitate local, national and international activity. Here we are offering vital services for those Moors/Muurs who have been commonly misclassified as Negroes, Blacks , Coloreds or African-Americans etc., within North West Amexem and abroad. It is encumbent upon those who are aware to act where they can to help prevent those abuses which harm their fellow man and woman. To those who may recognize the importantance of not only expressing interest but being active within your Moorish Divine and National Movement of the World we thank you in advance for your sincere support. We hope that in due time we may be able to offer even greater assistance to our brothers and sisters in our collective resolve of uplifting fallen humanity out from a mindstate saturated with dead culture into one more condusive to that of a natural heir of the land. With this page we offer the following services to do our part to help ensure means of open communication and mutual assistance concerning vital or necessary civic activity. Guided by our princples of Love, Truth, Peace, Freedom and Justice, we thank you just for stopping by! Below we offer you our current list of areas of assistance. All assistance herein noted are subject to change in nature and scope without any prior notice. All cost associated with assistance requiring one-on-one assistance must be agreed to and scheduled in advance by all parties involved. 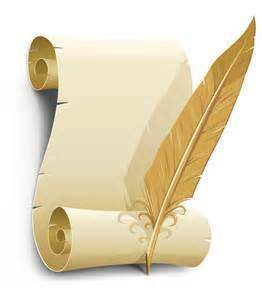 Public and Private Publishing / Recording of Affidavits of Fact, Writs and other forms of Notice. Through our National Activity we are able to demonstrate unity and organization around various topics and issues. It is a requirement that certain affidavits and writs be published or at the least that the other party be given due notice. To assist and facilitate those active moors who are pursuing remedy we provide this opportunity as an outlet for those who face suppression when they attempt to file their lawful forms of notice for the public record. Do you know what Securities are and what the Process of Securitization is? Do you know how this standard financial instrument has been used to promote Human Trafficking? Check this one out and learn Moor. Taj Tarik Bey Roundtable "Cestui Que Trust"
Brother Taj Tarik Bey gives another excellent demonstration for New and Young Moors. Brother Nun Nagi El reviews the 101 Questionnaire and demonstrates his five senses concerning Issues of Love, Truth, Peace, Freedom and Justice facing the ability of all Moors in Northwest Amexem. He also demonstrates basic concepts Active Moors may need to use in Activation of their Consular Court Restoration / Juror Questionnaires to assist to resolve a number of issues facing the community on various levels.